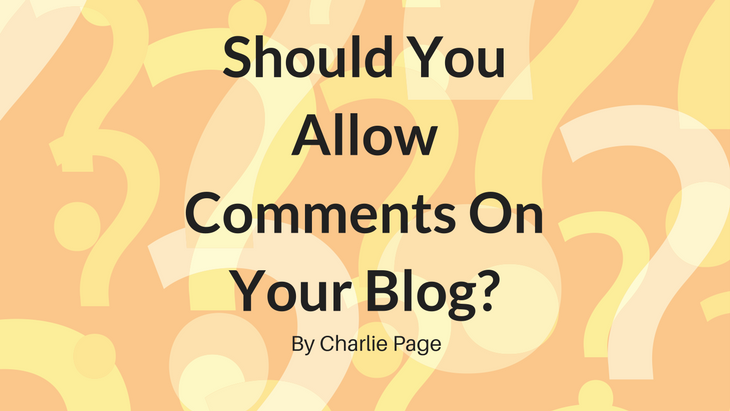 →Should You Allow Comments On Your Blog? I love blogging for one very good reason. Blogging turned my business around! Blogging gave me a home base. A platform. A place where I could share ideas, communicate with customers, and yes – sell things too. When it comes to blogging people have questions. We answer all of those questions here on my blog and in our membership sites. Today I want to address a question that is important but seldom discussed. Today’s video reveals what’s in it for you if you do. I WILL BUILD AND HOST YOUR BLOG! Great video. I agree 100% regarding allowing comments on your blog. For me, commenting there seems more personal vs. FB, etc. Imaginary or not, being “shuffled” somewhere else just to be heard seems to add distance between you and your tribe, which is not what we want, is it? Besides, I’m of the opinion that you should always make it as easy possible for your reader to do what you want them to do…be it buy a product, grab your lead magnet, or make a comment. The more yes/no decisions and preliminary actions are required, the lower the response we get. Life is hard enough. I’m all for making it easy…and personal! I have no internet business can you refer an affiliate program? Been looking at MCA. Would a blog be good for me? I don’t know enough about MCA to give you a good answer. I do know that searching for a product to promote, and then trying to promote it with no prior experience, usually does not work. Just like doing any other type of work (and affiliate marketing is work) it is important to learn the skills you need before you make these choices. I also have a considerable amount of free information here on my blog.